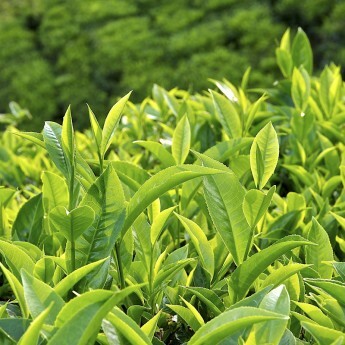 As a family business, the art of creating flavoursome, healthy tea has been passed through the generations. Zing Tea was born of a desire to share that knowledge and expertise… why keep all the good stuff to ourselves? Starting out in the picturesque tea fields of China, we have spent over twenty years innovating our processes and blends to create a range of teas that are both delicious and healthy. Our intimate understanding of the tea growing regions of China means we have access to the freshest, highest quality leaves from each harvest. Working with growers to time orders by season ensures the tea leaves are plucked, packaged and sent in their freshest possible state. Proudly owned and operated in Australia, our philosophy is built on the age-old principles of Traditional Chinese Medicine, applied to the modern Australian lifestyle. Working directly with growers and providers to ensure we import the best possible products, we then apply strict procedures and guidelines to test, blend and package our tea products. Our core range of health and detox teas are manufactured according to Good Manufacturing Practice and are held to the highest possible Australian standard. All Zing Health Tea products undergo rigorous testing at every stage of manufacturing, so you can be sure that the ingredients listed on the label are completely accurate. We understand that people are living busier, fuller lives than ever before. Simply introducing a flavoursome, healthy tea into your daily routine can have a positive effect on your overall vitality. Zing Tea has been developed using the principles of Traditional Chinese Medicine and the very best ingredients to deliver you optimal health benefits and flavour. Whether you are managing your metabolism, improving digestion with a detox or relaxing before a restful night’s sleep, we have the tea to assist. Zing Tea is about turning off the television and putting down the phone. It’s about engaging with the people you love, or disengaging from the world completely... even just for a luxurious moment. Zing Tea has been doing this for a while… 20 years in fact. In that time we’ve learned a thing or two about what makes a top notch tea and we hope to share the knowledge passed down from generations… pay it forward, if you will. We hope to restore balance to the lives of our fellow Australians by introducing them to the benefits of drinking tea.